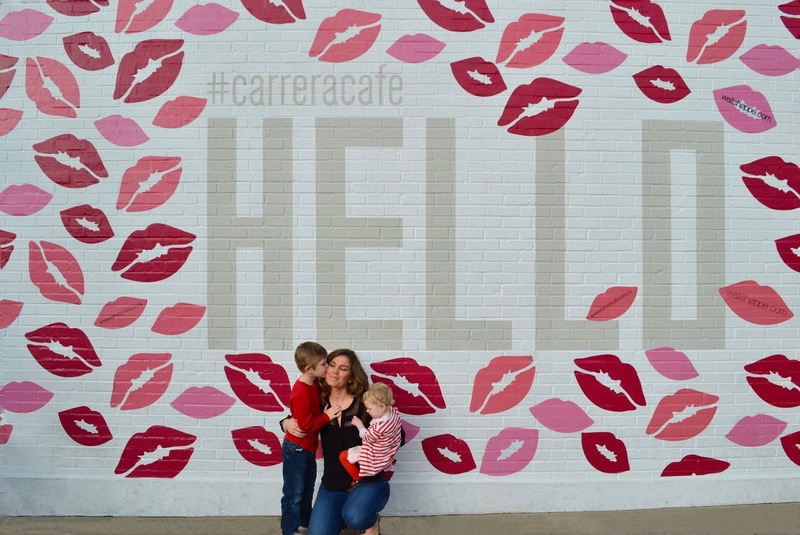 For Valentine's Day I thought it might be fun to do a wall crawl - with the babes, of course - through Los Angeles, featuring some murals and street art that showcase love. In total, I had six walls I wanted to find. But, between the logistics of wall locations, traffic, kids, and Scott - mad props to him for putting up with my madness for as long as he could stand it - we were only able to hunt down four. If you follow me on Instagram you've seen two of the walls. But, I had to share them all here. So, without further adieu, a little wall love on this fine Valentine's Day, courtesy of Los Angeles. I literally stumbled upon this one by accident and made Scott whip a U-turn. I mean, a massive, sparkly heart on the side of a building? WHY NOT?! Perhaps my favorite wall find, to date. Who can resist a bunch of lipstick kisses? Certainly not me. I do have to say, the kids sure put up with a lot of my hair-brained ideas. Julia isn't overly thrilled with most of what I plan, but hopefully one day she'll thank me for the madness. Marcus, that sweet child, he just tolerates me and does a pretty good job going with the flow. You have the best walls!!!! LOVE them! And the babes of course! How do you know about these walls? I mean, I'm sure there are a some here but unless we stumble across them how do you discover such photographic gold? Props to Scott! Instagram husband status achieved. And it was so worth it! These are all so cool. I have been to all of the 2 walls we have here already - we need more! So glad you spotted that sparkly heart on the side of the building because that is too great to pass up! I love that you did a wall crawl. We don’t have that many interesting walls around here and suddenly I am feeling a little jipped. Ha! These are all so great!!! The lips are my favorite wall - love the colors! I adore your walls!!! 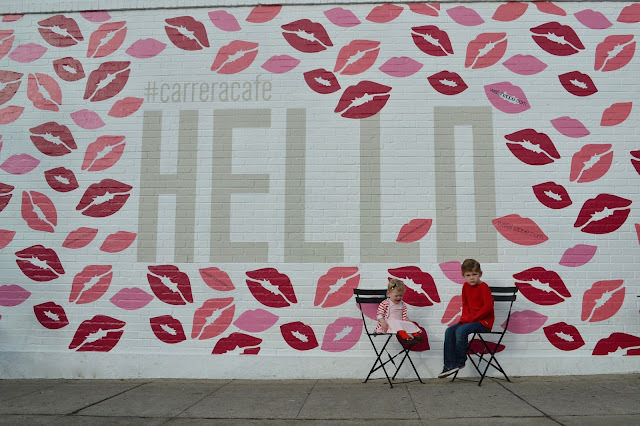 I love the lips wall the best! I LOVE your walls - you have the best photos of your kiddos with them!!! This is such a fun idea, but seriously scott is a huge trooper- no way I could get Jimmy to do this! Also, is Julia crying hysterically while sitting nicely in the chair in the first lip wall picture?? I wish I could zoom in. It totally looks like it! Ha! Oh my gosh, I can't believe Scott agreed to this! Major props to him! Craig would have been like "Yeah right, no way in hell!!!" P.S. All of these walls are making your Insta my favorite! True story.